Now, for the first time, Susie brings this vibrant woman’s story to modern readers. Ray Rhodes Jr. examines Susannah’s life, showing that she was not only the wife of London’s most famous preacher, but also a woman who gave all she had in grateful service to the Lord. A lot of books have been written about Charles Spurgeon, but very little has been written about his wife. 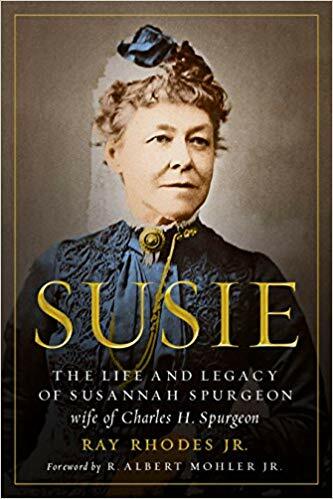 Susie by Ray Rhodes Jr is a book about the wife of the famous preacher Charles Spurgeon. This book does a great job of covering the life of Susanah Spurgeon not just as the wife of someone famous, but as an individual herself. She lived a difficult life and was often sick, but she accomplished so much in her lifetime and after her husband died. This book makes my list of favorite Christian biographies.